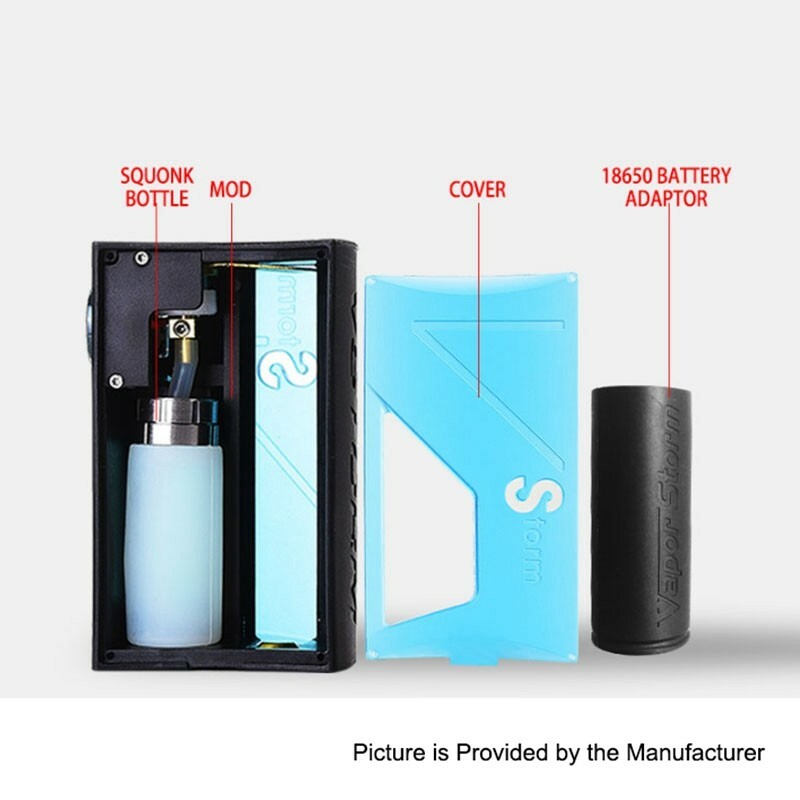 The authentic Vapor Storm Raptor Squonk Kit consists of Vapor Storm Raptor Box Mod and Raptor RDA. The Vapor Storm Raptor RDA is constructed from PEI (drip tip, cap) and stainless steel (base). Together with Raptor Box Mod, it will bring you fantastic vaping experience.